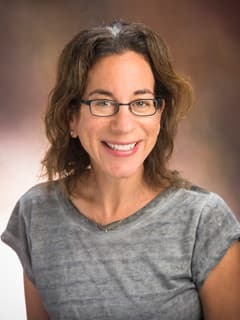 Led by Jill P. Ginsberg, MD, researchers in the Ginsberg Research Program have developed fertility preservation options for male and female children who may experience impaired fertility or fertility loss after cancer chemotherapy or radiation treatment. The long-term goal of the research is to offer families fertility preservation options so that reproductive choices are available to children after cancer treatment. Fertility Preservation in Children and Adolescents With Cancer. Urology. 2016 May;91:190-6.Epub 2016 Jan 11. Long CJ, Ginsberg JP, Kolon TF. Pregnancy after chemotherapy in male and female survivors of childhood cancer treated between 1970 and 1999: a report from the Childhood Cancer Survivor Study cohort. Lancet Oncol. 2016 Mar 22. pii: S1470-2045(16)00086-3. Chow EJ, Stratton KL, Leisenring WM, Oeffinger KC, Sklar CA, Donaldson SS, Ginsberg JP, Kenney LB, Levine JM, Robison LL, Shnorhavorian M, Stovall M, Armstrong GT, Green DM. Acquired multiple cysts of the kidney in neuroblastoma survivors. Am J Kidney Dis. 2016 Mar 22. pii: S0272-6386(16)00209-2. Moodalbail DG1, Apple LZ2, Meyers KE2, Ginsberg JP3, Kaplan BS2, Bellah R4.